Snow just won’t fall exactly where we want it to. Skiers cheer when it comes to the slopes, and kids are elated when the roads get too tricky to navigate with school buses. But those of us who have to move it are downright perturbed and consider it a chore. Snow has always been a challenge for people. Many accounts have been written about major storms, particularly the “Great Snow of 1717, ” a series of four storms from the end of February through the first week of March, which possibly left up to 60 inches of snow north of Boston — and unthinkable drifts of 15 to 20 feet. Another was the Blizzard of ’88, which lasted March 12 to 14 in 1888. Southern New England and New York got the brunt of it, but Maine was not left out. It received 10 to 20 inches. Notable in the 20th century: the Great Blizzard of 1952, stated to be the worst in Maine’s history. On February 17 and 18, 28 inches of snow hit the area, with 50 mph winds. Five people lost their lives. In Augusta, all but one city plow was stranded. They just had to give up. Twenty years and three days later, another blizzard came through, tearing up roads and beaches. As much as 18 inches of snow fell along the coast, and the winds blew at 40 mph. The toll road from York to Augusta was closed for nine hours. But what did Mainers do when there weren’t plows? Towns would hire teams of men to shovel. And in the 19th and early 20th century, snow was basically flattened on roads by using heavy logs chained under sleds, or large weighted rollers pulled or pushed by oxen or horses. Later on, Don A. Sargent of Bangor offered a snow roller, which could be attached to a Caterpillar tractor. This method made sleighing, sledding and rudimentary plowing much easier, but it was so successful that there was often more snow on the road in spring than in nearby woods. The 20th century brought the automobile and a greatly increased need to keep roads and streets clear. This initially was felt in the nation’s cities, where snow was considered garbage, lacking only the smell. Sargent is credited with assembling the first motor plow, patented in 1918, which became well-known throughout New England, all the northern states and Canada. He took advantage of the unusually large snowfall of 1918 and 1919, and built plows for 5- and 10-ton trucks and tractors. In 1922, Portland became the first city in the country to clear out its roads on such a large scale. Another Maine pioneer, Albert James (Allie) Cole, made good use of Sargent plows. Founder of trucking company Cole’s Express (1917-1997), Allie wanted to expand his runs to Aroostook County in the 1920s. By 1928 he had crews stationed all around the Island Falls area. The snow and ice were packed so hard the men had to use axes to break up the roads before plowing with his 2-ton Reo trucks. The Sargent plows prevailed; everyone in “The County” benefited when the roads were cleared. I would be remiss if I did not continue this trip down a snowy lane with Dean Fisher, founder of Fisher Engineering in Rockland. He began in 1948 by fabricating small snowplows for four-wheel-drive Willys jeeps. The blades were 6-feet wide and had a hydraulic lift. He made 50 that first winter, installing one before starting another. By the late 1950s, orders started arriving in the summer, so he began stockpiling. Six-and-a-half and 7-foot models were added, as well as the “Speedcast, ” which had a reversible blade. His company had increased its efficiency so much by 1959 that the price was actually reduced by $45, to $330. “Quick-Switch” power angling was added in 1962; that same year they had a whopping 350 dealers selling for them. The 1967-68 season introduced 8- and 9-foot models. In 1972 production had expanded to over 10, 000, and sales had crossed the Canadian border. The decade saw improvements in the hydraulic system and change to a single-lever plow control, and high-strength steel blade options. Fisher was continually upgrading his products. 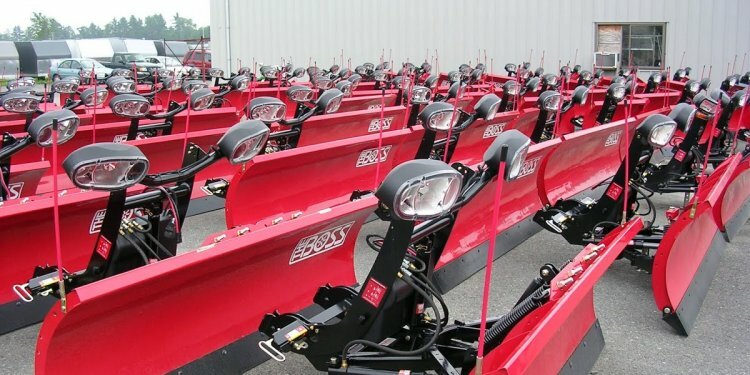 In 1982 he came up with the SnoFoil, a steel snow deflector mounted on top of the blade which allowed the snow to roll and move further to the side. Dare I say, “the rest is history”? The bright yellow blades are everywhere! On a personal note, I’ve actually plowed my driveway quite successfully with a Fisher plow. The plow was easily adjusted, and I was able to put it where it needed to go. I didn’t hit anything or lose control, and no animals or humans were harmed in the process.